Fisher Hill’s popular English for the Spanish Speakerworkbooks are now Ebooks that can be downloaded from our website. Click on Choose an option. You will have several choices. Two of the choices can be downloaded: audio download or ebook. If you choose one of these then you will be able to download the audio or the ebook after purchase. You can do this with each of the workbooks in this series. 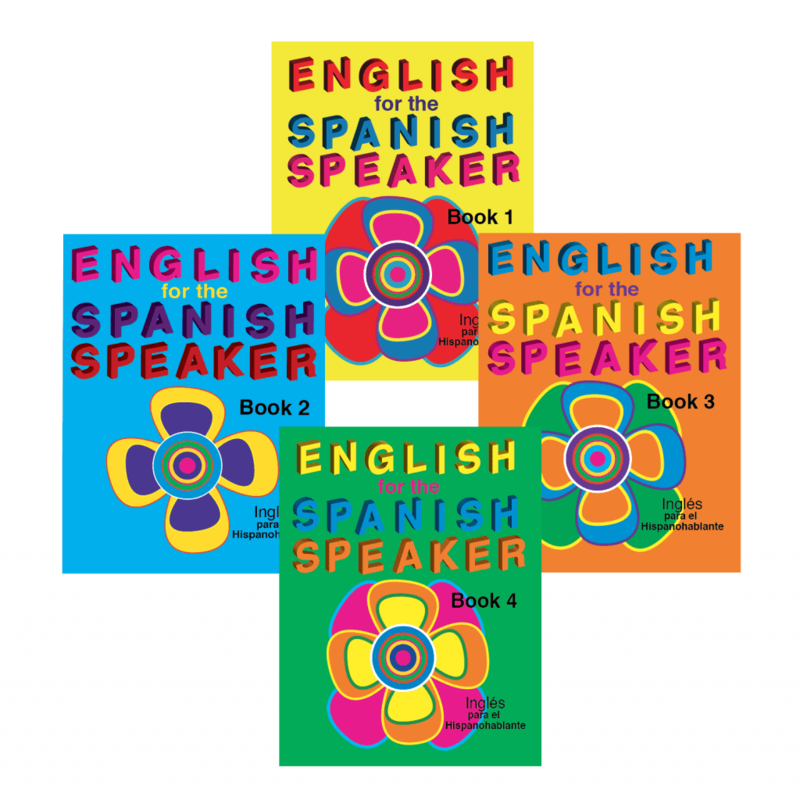 There are four workbooks in English for the Spanish Speaker series. Each workbook has eight lessons. In Books 1 and 2, the lessons are about every day activities. In Books 3 and 4, four lessons are about every day activities and the other four are about United States history or government. The print in the workbooks is large. The reading level in Book 1 is at the first and second grade level. The books get progressively more difficult. The reading level for Book 4 is at the fourth grade reading level. Each lesson begins with a vocabulary list, then a conversation, story, activity pages, and finally an answer key. The lessons are bilingual with the word lists, conversations, and stories presented in Spanish and English. The directions for the activity pages are in Spanish but the activities are in English. There are two dictionaries at the back of each workbook: a Spanish dictionary and an English dictionary. There is a CD available for each workbook so the student can listen to the vocabulary lists, conversations and stories in English. Adults like our workbooks because the pace is reasonable, print is large, and the directions are in Spanish. Teachers like our books because everything is ready to go! There’s an answer key included in each workbook. Visit us on line at www.Fisher-Hillto learn more about our English for Spanish Speaker workbooks that are now also available for download.